2nd Deep Offshore West Africa Congress 2017 (DOWAC 2017), on Sept. 14-15, in Accra Ghana, a new Africa offshore initiative besides Deepwater East & Southern Africa Series by OceanFuture, is the only leading event focused on Deep & Shallow Water in emerging West Africa countries, emphasizing the opportunities from new licensed, discovery and field development projects. West Africa has been explored in the offshore coast for many years, mostly in Nigeria, Angola and Ghana. The emerging countries such as Gabon, Equatorial Guinea, Senegal, Liberia, Cote d'Ivoire, Cameroon, Congo, have also offered more licensed under their new discovery. 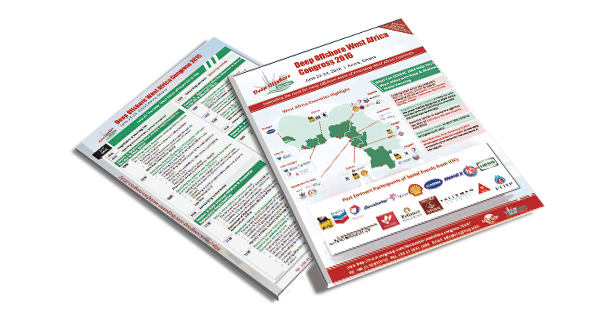 To unlock offshore asset in West Africa, DOWAC 2017, gathering Gov, Operators, EPCs, and other offshore players, discussing regulation, new licensing terms, technical & commercial risks aspects, impacts from low oil & gas price, will facilitate offshore development and help technical & service providers to find more new business opportunities. DOWAC 2017, gathering Gov, Operators, EPCs, and other offshore players, discussing regulation, new licensing terms, technical & commercial risks aspects, impacts from low oil & gas price, will facilitate offshore development and help technical & service providers to find more new business opportunities. Top 4 Reasons Why Attend?